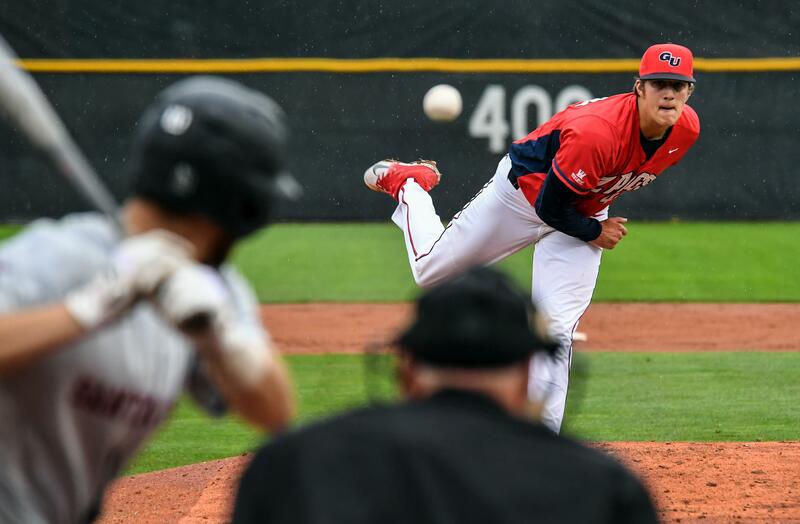 Tue., May 22, 2018, 8:06 p.m.
SAN BRUNO, Calif. – Gonzaga’s Daniel Bies and Casey Legumina earned All-West Coast Conference baseball first-team honors and were among five GU players honored by the league, WCC officials announced Tuesday. The first-team honors were the first all-conference awards for Bies and Legumina. Redshirt freshman Ernie Yake was named to the All-WCC second team and the WCC All-Freshman team, Mac Lardner was named to the All-WCC second team and Alek Jacob (North Central High) joined Yake on the all-freshman team. Bies, a redshirt junior, finished 4-3 in WCC play with a 2.56 earned-run average and a league-best 72 strikeouts in nine starts. The right-hander threw two complete games, including a complete-game shutout at San Francisco. Bies was named the WCC Pitcher of the Week twice. Yake had a breakout rookie season, leading the Zags in batting average at .321 on the year and .299 against the WCC. He also posted a .395 on-base percentage in the league, stole five bases and drew 12 walks. Jacob rounded out the GU award winners and the starting rotation, earning all-freshman honors for his fantastic season. He went 5-3 in WCC action with a 2.86 ERA. Second-seeded Gonzaga will be back in action Thursday in the first round of the WCC Championship against third-seeded Loyola Marymount at 7 p.m. in Stockton, California. Published: May 22, 2018, 8:06 p.m.